One weekend, while going through the Foreign Films category on Netflix, hubby P came across the Spanish movie “Medianeras”, literally meaning “Sidewalls“. Unlike the front or the back of buildings that have balconies or grand entrances or decorative motives, sidewalls are the useless parts, at best used as a canvas for advertising something. 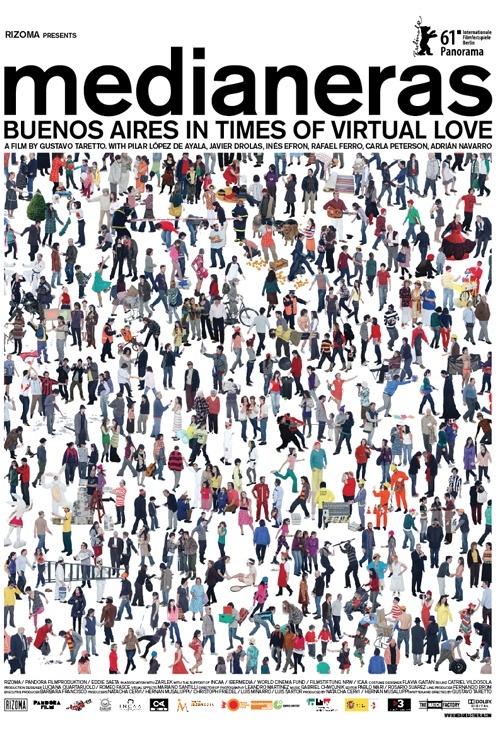 Set in Argentinian capital of Buenos Aires, one of the largest cities in the world, the movie begins with pointing out a striking correlation between the architecture of the city with dissimilar buildings, and its inhabitants. We create cities in our own image which reflect our own lives – unplanned, chaotic, contradictory, hostile, unpredictable. These cities charm us, yet there is the all pervasive “urban loneliness”- the isolation in a big crowd and an eerie silence within amongst loud noise without ! With this backdrop is the story of the protagonists of the movie, Martin and Mariana. They are both loners and have their phobias or neuroses they are dealing with. Martin is a web designer and most of the last decade has been a denizen of cyberspace, locked up in his tiny “shoe box” apartment. It is similar to Marianas apartment in the neighboring building who moved in after her failed relationship. She is an architect by qualification but is decorating shop windows. They both need love but the feeble attempts they make at attaining it only proves what misfits they are amongst the ‘regular’ lot! It wont take long to realize that they both, however, could be such perfect compliments to one another, only if they meet. But how? There are a few very interesting themes running in the film contemporary to our generation: the ever-growing big cities with the changing (not ‘evolving’) architecture, its sure impact on peoples lifestyles and lives, technology and internet that made the world a global village keeping us apart, and the search for love. 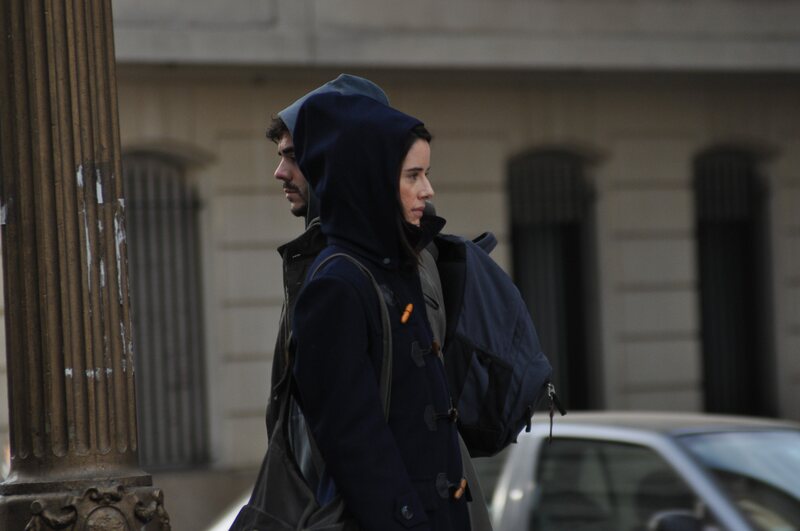 The movie is the Director Gustavo Tarreto’s debut feature, based on his 2005 short film based on the same name. There are very few characters. Most of the film is a voice over as the thoughts of the two main characters which makes it very easy to identify with them in a short time. Its a cleverly made film with subtle humor and a delightful ending. If you are one of those, like me, who are constantly looking for good cinema, and secretly wish for happy endings, this one is for you! One day while surfing channels, I stumbled upon The Queen. As I paused, I watched a great drama unfold in front of my eyes. The story revolves around the Queen Elizabeth II caught up in a unique crisis situation after Lady Diana‘s death, and how she plays her part. 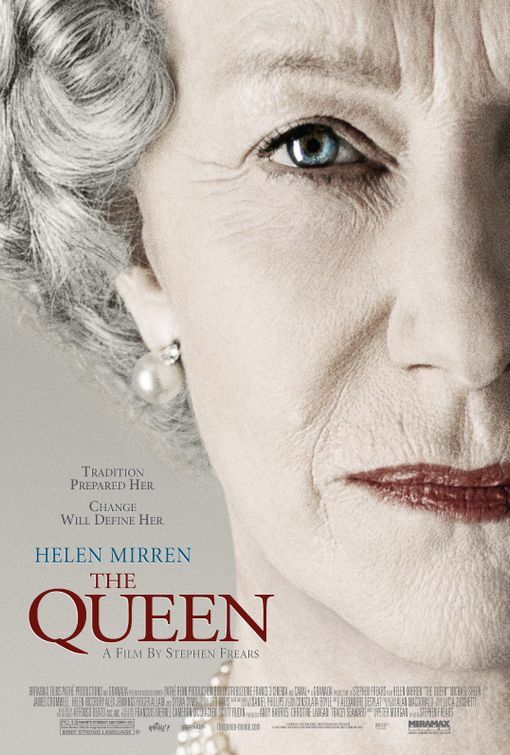 Two things got me – the presentation of the plot, and certainly the exceptional performance by Helen Mirren, who played the Queen Elizabeth II. 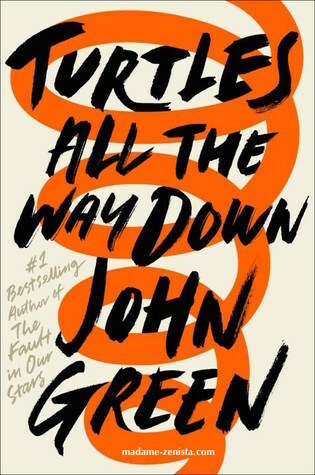 The plot is certainly simple, but brings forth the complexity of the situation and perspectives. The widespread popularity and adoration that Diana enjoyed is not unknown. Her death, more than her life, made waves across the world and in the media world. It made the world cry for the loving image of a human being they saw and read about all the time. I remember how deeply saddened I myself was – the strong yet vulnerable, down-to-earth and the extraordinarily good-looking ‘queen of peoples hearts’ that was Princess Diana. Prince Charles and Diana’s relationship had fed the tabloids and got unwanted publicity to the Royal Family, much to their chagrin, of course. In the movie, the news of Diana’s death brings to light unprecedented circumstances for the House of Windsor that ruled almost the whole world at one point, and for the newly elected Prime Minister Tony Blair (well-played by Michael Sheen). With it also unfolds a strong character of a good administrator, who is The Queen. I am reminded of the line from Spider-Man “with great power comes great responsibility“. With the title of the head of the Royalty and the Commonwealth realm, comes a great responsibility towards the people in general. The movie skillfully depicts the dilemma of Queen Elizabeth within the palace walls where dwells the real family and their concerns, and the world outside with their perceptions and expectations. And it takes us through each of the challenges that pose themselves, and how she goes about making her decisions. Her commitment to her duties and her responsibility towards the people drives her decisions, subordinating everything else including, the royal customs and protocols prevailing for several centuries. Diana’s divorce in 1996 had dissociated her from the Royal Household, which means that, technically, the rights for her funeral would be the Spencers prerogative, and that it would be a private funeral. However, that was not something the world in general discerned, giving birth to a series of dilemmas. In wake of the prevailing circumstances, the Queen gave her consent for a public funeral ceremony which that included royal pageantry, befitting Diana’s glory and grandeur. The film brought to light the behind-the-scenes for incidents like “half-mast flag” on the flagpole of the Buckingham Palace : as a tradition the Royal flag is flown only when the Queen is in residence. The Queen was then at the family’s summer home – the Balmoral Castle in Scotland – privately mourning and protecting Diana’s grieving sons. Besides, there has been no tradition of a “half mast” flag as it is the Sovereign‘s flag and there is never a dead Sovereign (the new monarch immediately succeeds his or her predecessor). However, this evoked angry public reaction like “Where is our Queen? Where is her Flag?“. It is then that the Union flag was flown half mast that appeased the crowds. Similar situations like “Changing of the Guard‘ was altered – the Guard was asked to march from a different gate – as there were over a million flowers left by mourners outside the Buckingham Palace . The final ‘masterstroke’ as it is called by one and all, is the Queens public mourning and address. I loved this scene where Tony Blair‘s wife condemns the Queen’s while watching her televised address to the nation, and Blair, admiring the Queen for how she has dealt with the whole episode, tells his wife that what the Queen was is doing is extra-ordinary. This address had conciliated one and all after the prolonged misunderstood silence from the royalty. Some people do not have the luxury to keep their grief private even if they want to, like most of us rightfully do, I thought to myself. What a sad irony! Interwoven well within the story are incidents that show the real person behind the title that Elizabeth is: her concern for her grandsons to protect them from the mad media, her love for the red deer stag in their estate and the grief she undergoes to see it killed. And how skillfully she hides her vulnerability and pain from showing itself speaks for the real person behind the perceived tough exterior of the supreme royalty! It’s touching. Considering most of the world is pro-Diana, it certainly must have been a delicate and difficult subject for a film to convey the message to such an audience. The film deftly manages to do so. It does not paint Diana in a negative picture really; all it does is exposes the audiences to the pressure that the Queen undergoes on several levels from her position and her perspective. And what comes to fore is “the other side” not known or shown hitherto. This picture appears to be hugely different from the one that is commonly and conveniently perceived by us based on what we read and see via profit-making corporations known to us “media”. The lions share of the success of the film is the actor who played Queen Elizabeth, Helen Mirren. I find no words that would do justice to her performance and still not sound a cliché. Meryl Streep herself is known to call her an ‘acting God’ and that is certainly for a reason. What a powerful and unprecedented performance, I dare say! I have never seen anything that perfect and impeccable ever before! What delicate subtleties in her acting and what poise! Sheer brilliance! The movie undoubtedly belongs to Mirren… I salute The Queen, the real and certainly the reel! Watched Avatar. What drew me to the theaters was not only the ubiquitous trailers or the widespread promotions. The motivation was, it was a ‘James Cameron movie’. The obvious hype about the special effects and CGI certainly is well deserving. The colors, the creatures and the creation of the planet of Pandora is exquisite! The glowing fluorescent pinks and greens and purples that form the flora and fauna of this planet is a trip to paradise! It is pure beatitude! Needless to say, one falls in love with it, instantly. But to me, it is the movie’s strong underlying theme that jumps out: one of the relationship of the creatures to the Creation, of the inhabitants to Nature. The movie begins with humans who come from the earth to take over Pandora. Their armed forces attack this planet, showering bombs and opening fire on the land that you just fell in love with. To the natives, the ‘Navi’ people, everything on their planet is ” inter-connected”, like a complex circuit, and there is an energy flow in all things present. Nature is their Divine Mother and they actively communicate with Her. This is a great feat of the film where Nature is personified as a Matriarch, as against unthinking, unintelligent and non-interactive matter existing by chance! The Navi’s have a ancient colossal tree which is their home, and is sacred to them. It is so beautiful and enormous that it is awe-inspiring. This lush green tree is bombed and brought down in flames! That moment becomes a tipping point of sorts for the audience. Seeing its destruction, and annihilation of this haven makes your heart bleed! How short-sighted, how foolish and dim-witted these attackers are, you are compelled to think! 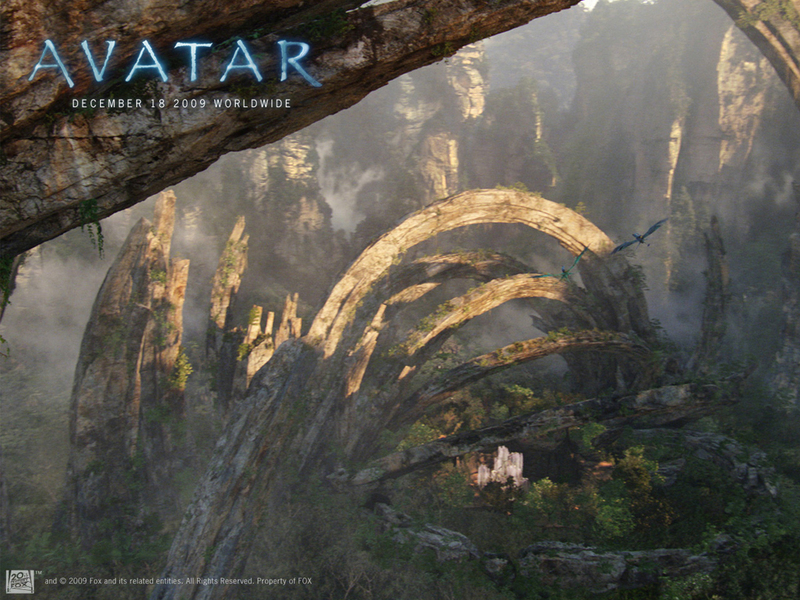 Avatar: The massive tree brought down! This is also the point where it crosses the line of an unreal story to blatant reality. The reality that you can identify with: the reality of us and our planet. And then it flashes – what the army is doing to Pandora is exactly what we, as a race, are doing to our Mother, our home – the ever giving Earth! She is mute, maimed and mutilated, and we can’t even see Her tears! What mindless destruction? Wars born out of self-centered objectives, and worse justifying it all! Taking for granted all we were conferred with! It is as if a veil is lifted, and one clearly realizes the chaos, the confusion and the pandemonium all around us caused by our actions, and we just wouldn’t stop! From a general, I scale back to a micro level and see myself in a different light: me – as an individual-with Nature. I feel humbled. I feel gratified. Questions like “what can I do”, “what/how can I stop” stir me up. “Climate crisis“, “Global warming“, “greenhouse effect“, “carbon footprint” – mere popular terms until sometime back- actually start making sense like never before! I now have a strong conviction and a new-found sense of belonging towards the environment. I make a solemn resolve to myself, to choose to do what is right. Ever since, I see the sentiment guiding my actions and approach. To me, Avatar has a strong message to convey. And what a spectacular way of delivering it! I watched the movie Mona Lisa Smile sometime back. I am sure Wikipedia will do a good job describing about the general theme of the movie, so I will not. But as the movie got over, it had mildly stirred me. 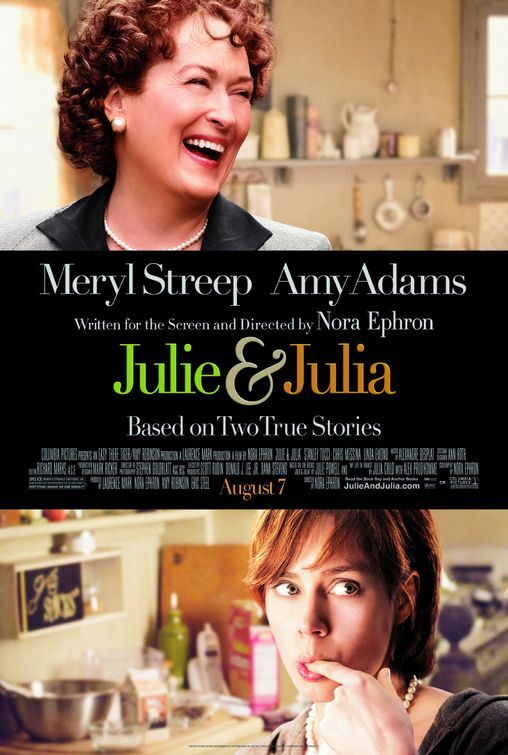 The underlying theme of the movie, seemingly, is feminism. But to me, it makes an attempt to awaken that human spirit dwelling in one and all; and that has nothing to do with gender really. For the seeker, the movie inspires and challenges her to reach where her heart points to. It is about fierce honesty to oneself and the great original work that is born of it. And Van Gogh never sold a painting in his lifetime. What honesty! What courage! What art… for the sake of art!